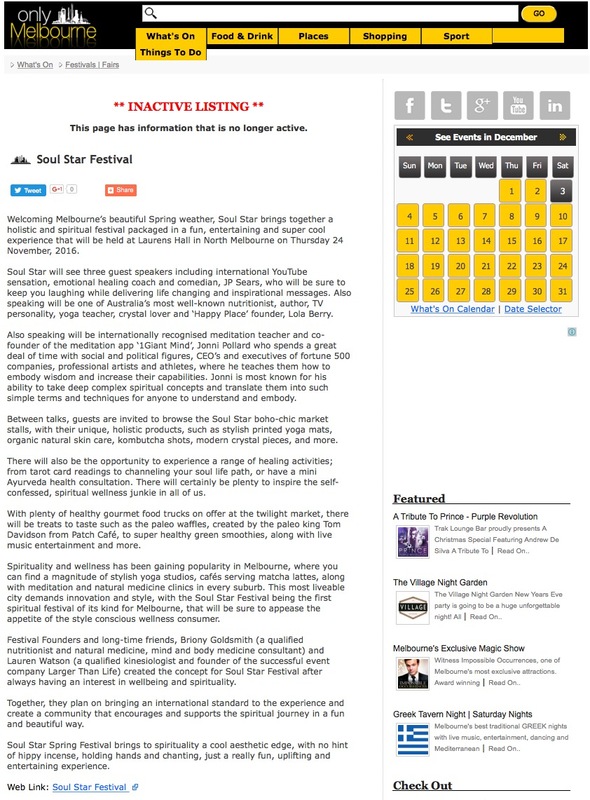 This article was originally published on the Only Melbourne website // View the PR capture here. Soul Star will see three guest speakers including international YouTube sensation, emotional healing coach and comedian, JP Sears, who will be sure to keep you laughing while delivering life changing and inspirational messages. Also speaking will be one of Australia’s most well-known nutritionist, author, TV personality, yoga teacher, crystal lover and ‘Happy Place’ founder, Lola Berry.